Enjoy the best inspirational, motivational, positive, funny and famous quotes by Anna Mickelson. Use words and picture quotations to push forward and inspire you keep going in life! 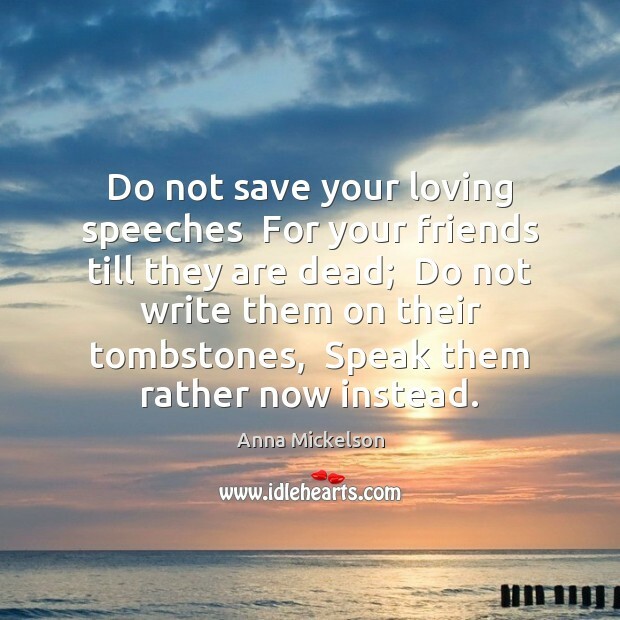 Do not save your loving speeches For your friends till they are dead; Do not write them on their tombstones, Speak them rather now instead.